Vulnerable Mediterranean fin whales (Balaenoptera physalus), Vulnerable common bottlenose dolphins (Tursiops truncatus) and Endangered common dolphins (Delphinus delphis) have shown regular presence around the waters of Ischia and the Ventotene Islands, within the Tyrrhenian Sea. The complex topography of canyon systems contributes to factors which shape the species’ presence and distribution. Oceanographic upwelling promotes primary production leading to an abundance of krill, Meganyctiphanes norvegica, prey for fin whales seasonally occurring in the area. Mediterranean common dolphins are genetically differentiated from those inhabiting the Atlantic Ocean and are subject to several threats including incidental mortality in fishing gear, contaminants, prey depletion, disturbance and climate change. Declining abundance has raised conservation concerns for Mediterranean common dolphin and in 2003 the species was listed as ‘Endangered’ in the IUCN Red List of Threatened Species. Mediterranean common bottlenose dolphins are genetically differentiated from those inhabiting the contiguous eastern North Atlantic Ocean and Scottish waters and are subject to several threats including incidental mortality in fishing gear, reduced availability of key prey, disturbance, noise and chemical contaminants. In 2012, the IUCN Red List of Threatened Species classified the Mediterranean bottlenose dolphin as Vulnerable. The resident and genetically isolated population of Mediterranean fin whales, presumed to number at most in the low thousands (and possibly in decline), is subject to several threats including ship strikes, disturbance, noise and chemical contaminants with several potential negative effects at the population level. This Mediterranean subpopulation has been listed as Vulnerable in the IUCN Red List of Threatened Species. Approximately 88% of observed common dolphin groups included immature individuals, with most of these including calves and neonates. Approximately 70% of common bottlenose dolphin groups included immature individuals, including calves and neonates. For both species, each age class was encountered during almost all months and field years; parturition has never been observed, although it likely occurs given the observations of extremely small individuals (classified as newborns) showing foetal folds on the flanks and lacking basic motor-coordination skills. The relative frequency of occurrence of groups containing immature animals (in relation to all groups) does not appear to vary annually. In the area, common dolphin area frequently observed to feed at surface, targeting shoaling fish along the head of the Cuma canyon. The feeding preferences of common dolphins in the Ischia area are not entirely known, however, observations of cooperatively herding of schooling fish (mainly the Atlantic saury, Scomberesox saurus, and European anchovy, Engraulis encrasicolus) as well as fish tosses, wall formations and synchronous diving suggest coordinated feeding strategies. Common bottlenose dolphin are reported to feed at depth, near rocky banks, and to follow bottom trawlers, as reported in many other Mediterranean sites. Fin whale are observed to feed in the area, mainly targeting the krill species, Meganictiphanes norvegica, in spring-summer. Mussi. B., Miragliuolo, A. 2003. I cetacei della costa nord occidentale dell’isola d’Ischia (canyon di Cuma).  In: Ambiente marino e costiero e territorio delle isole Flegree (Ischia, Procida e Vivara – Golfo di Napoli). Risultati di uno studio multidisciplinare (Gambi MC, De Lauro M, Jannuzzi F, eds). Liguori Editore, Napoli, Italy: pp 213-232. Mussi. B., Miragliuolo, A., De Pippo, T., Gambi, M.C., Chiota, D. 2004. The submarine canyon of Cuma (Southern Tyrrhenian Sea, Italy), a cetacean key area to protect. European Research on Cetaceans 15: 178-182. Mussi, B., Miragliuolo, A., Monzini, E., Diaz Lopez, B., Battaglia, M. 1999. Fin whale (Balaenoptera physalus) feeding ground in the coastal water of Ischia (Archipelago Campano). European Research on Cetaceans 13: 330-335. Mussi, B., Miragliuolo, A., Zucchini, A., Pace, D.S. 2014. Occurrence and spatio-temporal distribution of sperm whale (Physeter macrocephalus) in the submarine canyon of Cuma (Tyrrhenian Sea, Italy). Aquatic Conservation: Marine and Freshwater Ecosystems 24(S1): 59-70. Pace, D.S. 2016. On the sperm whale (Physeter macrocephalus) ecology, sociality and behavior off Ischia Island (Italy): patterns of sound production and acoustically measured growth. PhD dissertation. Sapienza University of Rome, Italy. Pace, D.S., Miragliuolo, A., Mussi, B. 2012. 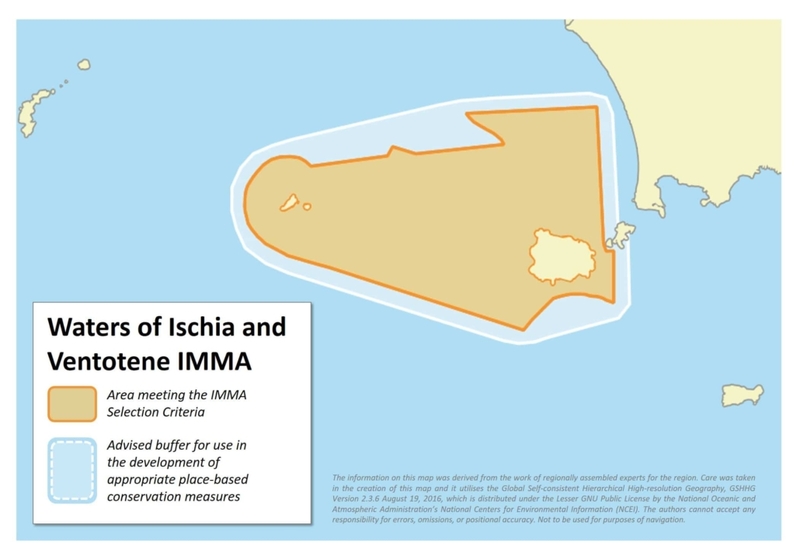 The case study of the marine Canyon of Cuma (Tyrrhenian Sea, Italy): implication for cetacean conservation off Ischia Island. In Mediterranean submarine canyon. Ecology and governance. Würtz M (ed). IUCN: Gland, Switzerland. Pp 89-97. Pace, D.S., Miragliuolo, A., Mariani, M., Vivaldi, C., Mussi, B. 2014. Sociality of sperm whale off Ischia Island (Tyrrhenian Sea, Italy). Aquatic Conservation: Marine and Freshwater Ecosystems 24(S1): 71-82. Pace, D.S., Mussi, B., Airoldi, S., Alessi, J., Arcangeli, A., Atzori, F., Azzolin, M., Campana, I., Celona, A., Fiori, C., Giacoma,,C., Gnone, G., Luperini, C., Mangano, R., Miragliuolo, A., Moulins, A., Nuti, S., Pellegrino, G., Rosso, M., Salvioli, F., Tepsich, P., Tringali, M. 2015. New insights on the presence and distribution of the endangered short-beaked common dolphin Delphinus delphis in Italian waters. Biologia Marina Mediterranea 22(1): 262-263.